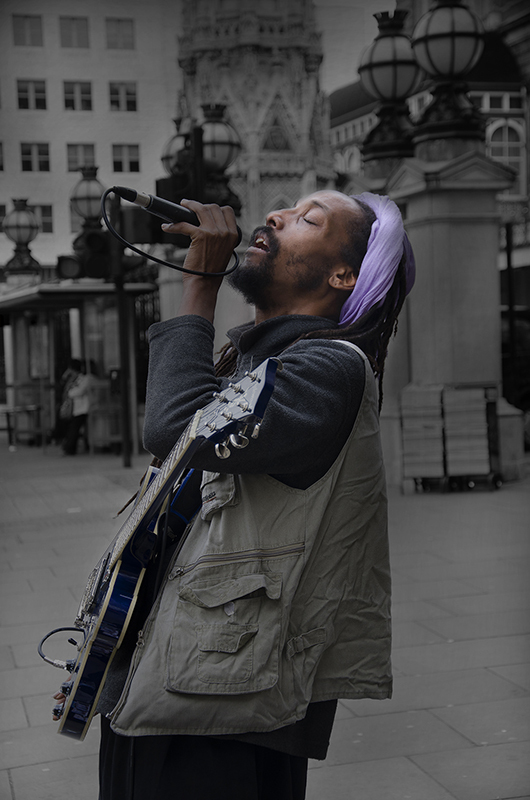 As I turned around the corner behind St Giles church, Trafalgar Square, I could hear the heavy sound of a bass: dub reggae-style and a plaintive harmonica above the other prerecorded instruments. The unrecognised talent of street performers. This artist played his music with all his soul to the few who cared to listen. Nice picture. Very bleary eyed this morning, woke up at 6 after a restless night. 5. 30. yesterday. Think I need to write to Sue!